Why a Faith in Healthcare Newsletter? The physician whose Christian faith leads him to care and advocate for his rural Indiana patients struggling with addiction and infectious disease. The Capitol Hill lobbyist whose Jewish faith leads him to fight in the halls of Congress to defend healthcare programs. The physician whose Muslim faith fuels her devotion to her low-income patients on the South side of Chicago. All of these inspiring people, and thousands of others like them, are living testaments to the fact that all major religious traditions embrace a core responsibility to care for the sick. From creating history’s first-ever charity hospitals to presenting a unified front to defend programs like Medicare and Medicaid, the faith community has consistently acted on that mandate. As a March 2017 statement by leaders of 40 U.S. faith organizations said, "The scriptures of the Abrahamic traditions of Christians, Jews, and Muslims, as well as the sacred teachings of other faiths, understand that addressing the general welfare of the nation includes giving particular attention to people experiencing poverty or sickness." We are blessed to live in a time of opportunity to make significant progress toward meeting those obligations from our sacred teachings. Americans across the political spectrum share deep frustration with our current healthcare system, and acknowledge the existence of healthcare as a human right. They are demanding change. The faith community can help make that change happen. The history of successful social movements, from the abolition of slavery to the civil rights movement to the anti-apartheid movement, teaches us that. We know that the economic argument in favor of universal healthcare is a powerful one, but the moral argument is even stronger. People of faith stand in the ideal position to make that case. Generations of “walking the walk” ministering to the needs of the sick endows us with moral authority on the issue, a privilege hard-earned by those on the front lines of care and advocacy. 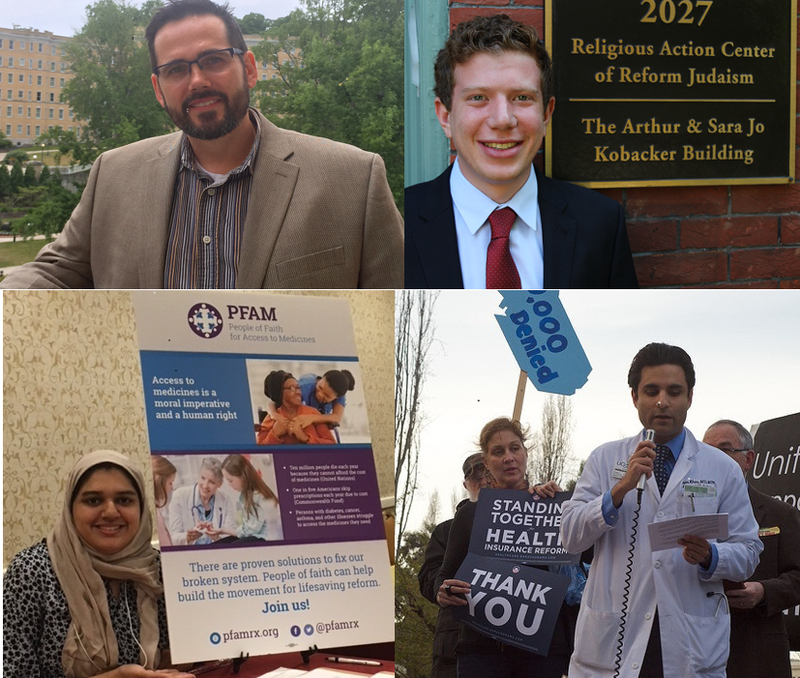 Faith in Healthcare will use our weekly newsletter and other forums to lift up those inspiring examples of faith community service, and at the same time highlight our fast-developing opportunities to make an historic impact. The newsletter is edited by Fran Quigley, who directs the Health and Human Rights Clinic at Indiana University McKinney School of Law and is an active member of multiple faith-based advocacy groups. His articles have been published in mainstream venues like the New York Times and in faith publications including Sojourners and America. He and Jessie Howenstine and Chris Stack, MD are the co-founders of Faith in Healthcare, previously known as People of Faith for Access to Medicines. Please contact Fran, fwquigley@faithinhealthcare.org, with your ideas for stories and news items. In the end, Faith in Healthcare's purpose is to pull us together as we travel our shared journey. Today, too many of our brothers and sisters are suffering. But we carry the prescription for their healing in our pockets.